Our Tennessee Digital Event Series includes three key annual events to announce grants, celebrate impact, and recognize community supporters. Join top technology and business leaders in Tennessee to network, collaborate and share a common desire to stretch their community investment dollars. A semi-formal gathering celebrating the impact of TechBridge across Tennessee and the nonprofits transformed through technology. Supporting TechBridge allows companies to diversify their community investments. 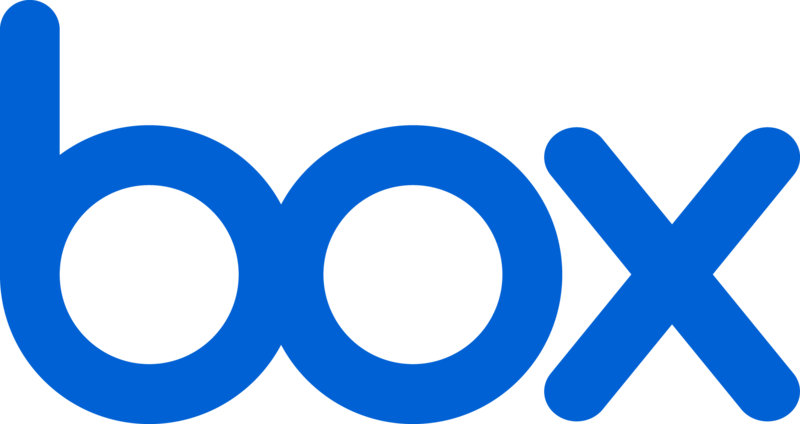 Whatever your company’s philanthropic focus, TechBridge multiplies your sponsorship dollars to serve many nonprofits – across many different causes. We serve nonprofits in all areas affecting the alleviation of poverty. 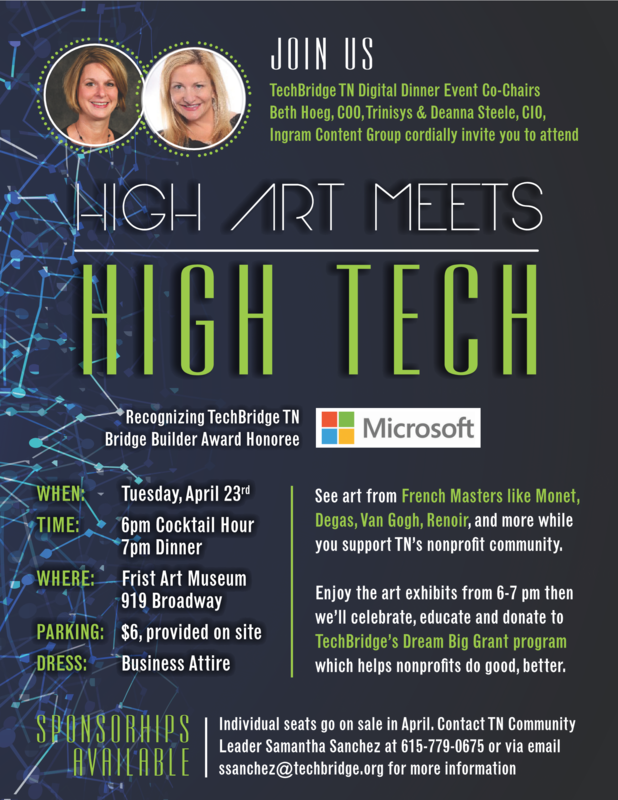 Your investment in the TechBridge Tennessee Digital Event Series helps more nonprofits harness the power of technology and serve more people, more efficiently, assuring a stronger, better community for us all. When you support TechBridge, you can also be sure of the end result of your donation. With nearly 20 years experience with nonprofits, we are able to provide nonprofits with a proven roadmap that guides them towards operational excellence – measuring their outcomes, better telling their stories and increasing their capacity to do more good. Each sponsorship package includes tickets to each of the four main events of the Tennessee Digital Series. Options for additional discounted tickets included with each package. *Only 1 Presenting Sponsor per event. *Only two Platinum Sponsors per event.